I recently spoke with a man who was looking into the Healthy Foundations 10″ Memory Foam Mattress, as well as the memory foam mattress of another mattress company. There were differences in the way they were made, pricing, company longevity, and the usual things that separates Healthy Foundations from other companies, but the biggest “gotcha” from this company is their warranty. Buyer beware, as I always say. Natural Latex Mattresses: Freedom From Dust Mites! Dust mites are a common allergen in the home, collecting in carpets, on window coverings, in mattresses, and anywhere dust finds a place to settle. 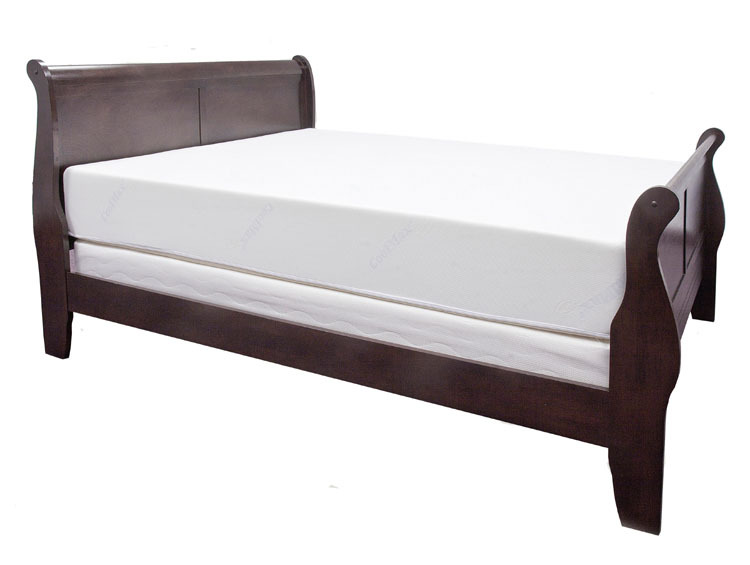 Although the perception that mattresses double in weight every 10 years due to dust and dust mites is a myth (see http://www.snopes.com/inboxer/household/mattress.asp), those with allergies or the desire to lessen their contact with dust mites are frequently turning to 100% all-natural latex mattresses. Author Angela L. HensleyPosted on December 2, 2015 Categories General Health, Mattress, Natural Latex MattressesTags all natural latex mattress, all natural latex mattresses, allergies, dust mite-free, latex, latex mattress, latex mattresses, natural latex mattress, Natural Latex MattressesLeave a comment on Natural Latex Mattresses: Freedom From Dust Mites! Looking for comfortable sleep that is also 100% all natural? Then check out a 100% all-natural latex mattress. A 100% all-natural latex mattress is completely botanical and natural and is hypoallergenic, antibacterial, and dust mite-free. When looking for completely natural and green sleep, you must be careful though. “Buyer beware” is very important when looking for a 100% all-natural latex mattress. This is because many companies will call their mattress “natural” latex when, in reality, there is just a small amount of natural latex in the mattress and the rest or part of it is made with synthetic or artificial latex. Latex Mattress or Memory Foam Mattress: Which is the Best Choice? You can frequently see the question, which is better, a latex mattress or a memory foam mattress? This isn’t a question that can really be answered — It’s like asking a truck guy which is better Ford or Chevy? The answer comes down to personal preference. The Bedzine.com blog, History of the Bed, was written by “guest” in 2009. Since it doesn’t site any references, I don’t know how accurate it is, but it is fun to read. So says the meta-site SleepLiketheDead.com and its summary of reviews and ratings of the top rated mattress types. In this review (http://www.sleeplikethedead.com/bed-mattress-review-home.html), memory foam mattresses rate the highest with an overall owner satisfaction rating of 81%. Latex mattress are a close second at 80%, and traditional innerspring mattresses are the lowest rated mattress for comfort at just 63%. In this summary, SleepLiketheDead uses a sampling to make its determination, using over 6000 samples for the innerspring and memory foam results and just over 1000 for the latex results. According to the site, their mattress data is based on “20,356 Owner Experiences Gathered From 948 Sources.” So is this perfectly accurate? It’s hard to say as this type of sampling is not an exact science, but, using this site’s sampling method, it is clear that memory foam is widely considered the most comfortable mattress.